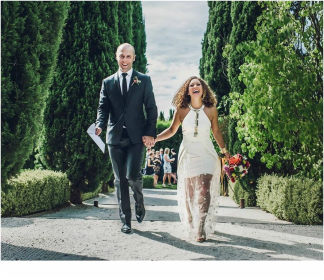 "We knew that the celebrant was a very important part of the day and had no idea where to start. We had Amber recommended to us and let's just say we just clicked. She was the first person we spoke to and absolutely the last. Amber turns something which can be quite nerve racking in to the most fun occasion ever. She was incredibly flexible and made us laugh which is exactly what we wanted for our ceremony. We think it is really important to have amazing people involved in your special day and Amber is certainly that. We would recommend to all. ​Thanks so much Amber for making our day so enjoyable." 'Best ceremony ever' without a word of a lie. It couldn't of been better suited to us." ​"Amber was our celebrant in January. Nothing was ever too much effort or not possible. ​couple and delivered a flawless ceremony." "You were perfect. You really listened to what we wanted and didn't make anything difficult. It all flowed very well. Thank you for everything and for being apart of a day we will remember and cherish forever." "You completely exceeded our expectations!" We had so many compliments afterwards about how personalised it was and how people got a real insight into our story and our relationship. It was emotional but and THE BEST. Keep doing what you are doing, Amber. We couldn't have asked for a more fitting ceremony for us." and it was relaxed, comf﻿﻿﻿ortable an﻿﻿﻿d a lot of fun. You listened to what we wanted (as unconventional as it might have been) & you came back with exactly what we had asked for. 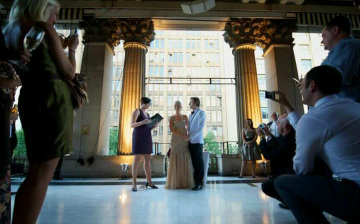 In addition, you were a lot more cost effective and flexible than every other celebrant we spoke to." “I highly recommend Amber. 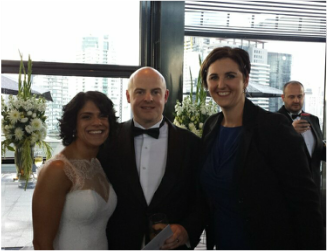 She was our celebrant at our Wedding in March and couldn't have tailored & delivered a better ceremony for us. She was a delight to deal with, was always on hand to answer any questions and provided many options & ideas for our ceremony in the lead up in her handy info pack. 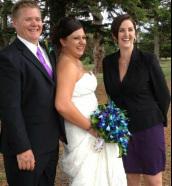 “Amber was the perfect celebrant for our very casual wedding. We wanted it to be very simple and she catered for it perfectly. and it just seemed like a natural part of our day. Check out My Facebook Page and Google Reviews for More!